In Parts 4a and 4b we learned about the basics of sending an order to out checkout and collecting a Stripe Payment. 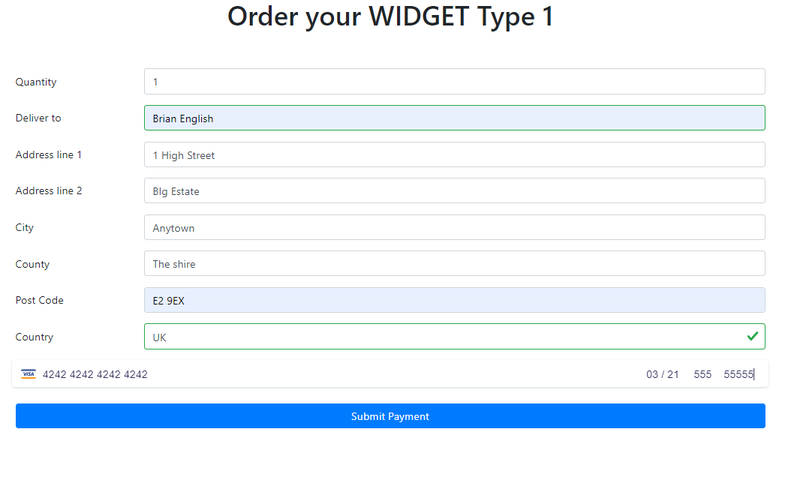 This module will take this further and add shipping details to the payment process. 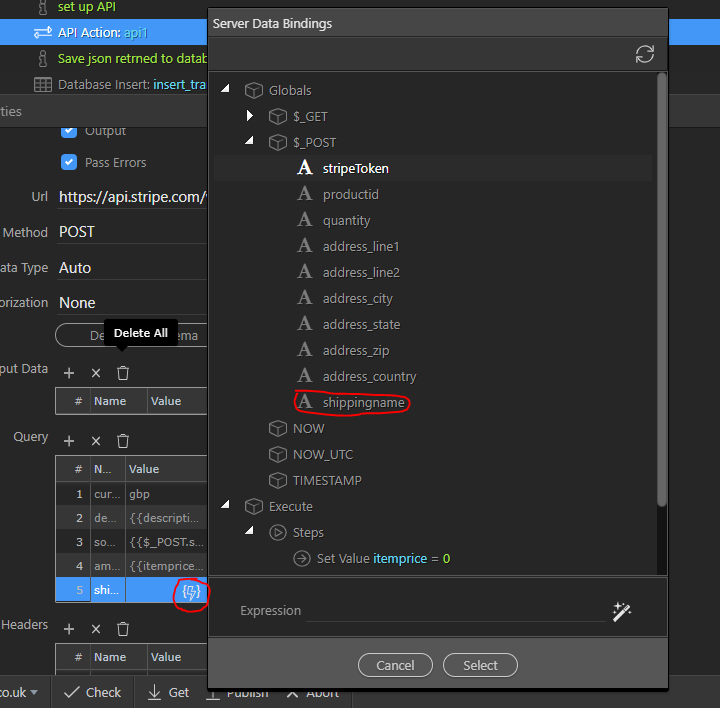 This tutorial building on the previous tutorials and assumes you are extending the server action specified within that tutorial. IF you have not completed tutorials 4a and 4b then please read them and ensure you understand the techniques and server action developed in it. 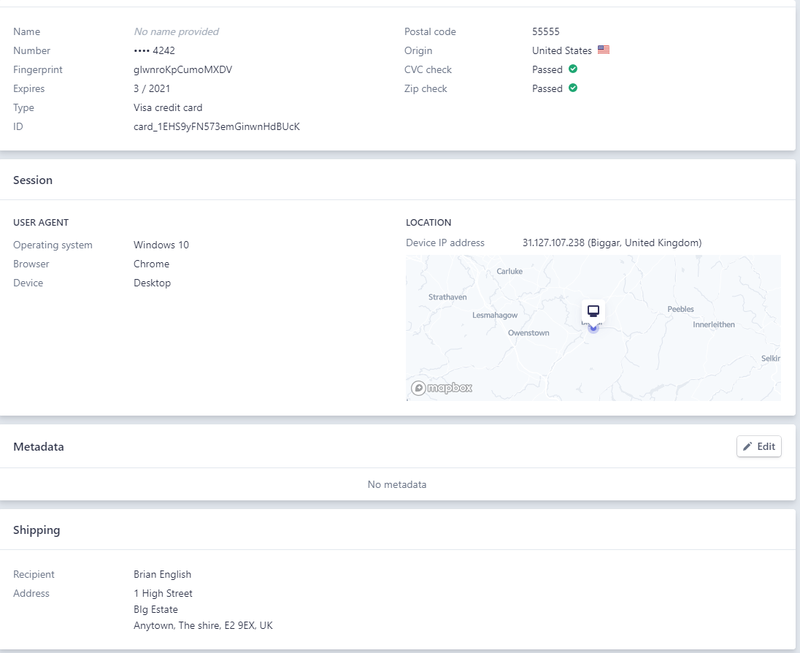 We still have our original productid hidden input however the quantity field in now a standard “number” input following the quantity of items to be set. I have deliberately not covered form validations via app connect and the DOM panel as I assume any user performing something such as this is familiar with Wappler validation techniques. 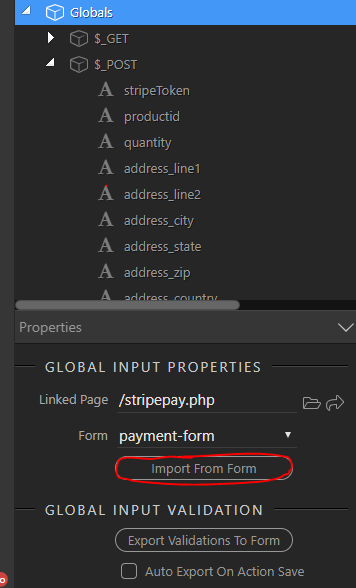 Firstly let us re-import our post variables from the checkout form. 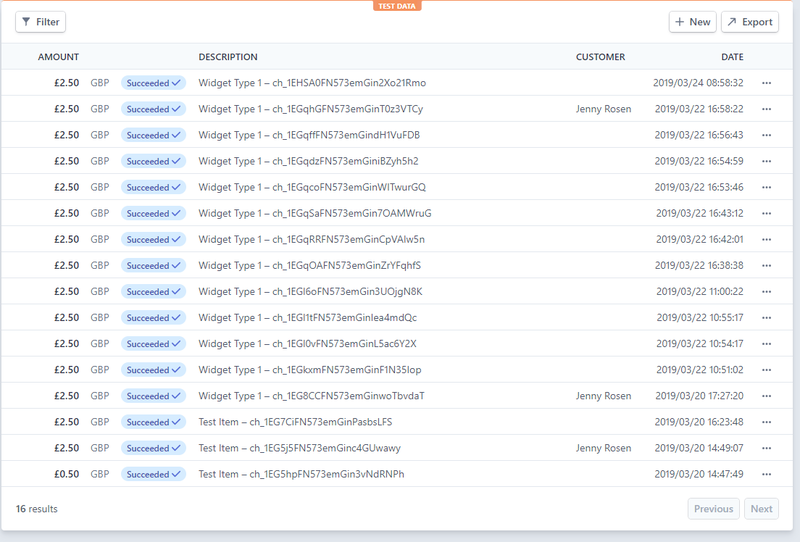 This is an optional stage as the data is already stored in the Stripe PAYMENTINTENT object and is inserted into the table for reference primarily. Select you database update stage and click Insert Options. Remember this is new transaction, we are not adding shipping to an existing transaction so it is an insert, not an update. 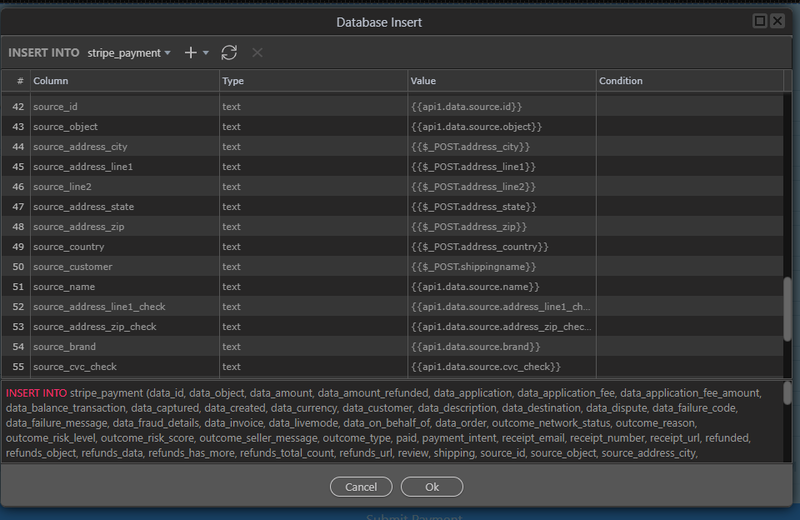 View your database table in your preferred application so see the data has been added.